A black circle painted on a white ground. It is hard to imagine, nearly one hundred years later, how Kazimir Malevich came to paint such radical non-objective paintings. With no reference to the visual world, we are confronted with the fact of the painting, an object of contemplation and intellectual and spiritual striving. Malevich described his new movement of Suprematism as "that end and beginning where sensations are uncovered, where art emerges 'as such' ". In this, he was aiming for a philosophical approach to the 'real'. 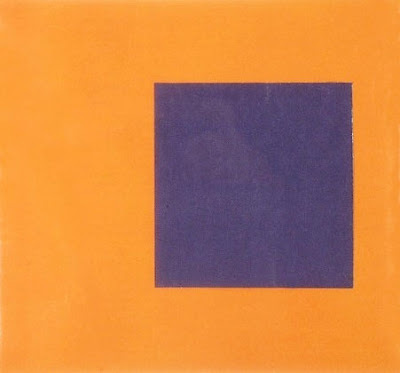 Although Kant writes that we cannot know reality 'in itself', it seems to me that Malevich was searching for a means to express a bedrock reality, apart from pure visual sensation. It is this search for essential form and clarity that is so compelling to me and makes geometric/minimalist/reductive painting such an inspiration. Another center of 20th century innovation was the Bauhaus, where Moholy-Nagy was an important teacher. His photography was ground breaking, but he also was a terrific painter, using some of the geometric ideas of the Suprematists. 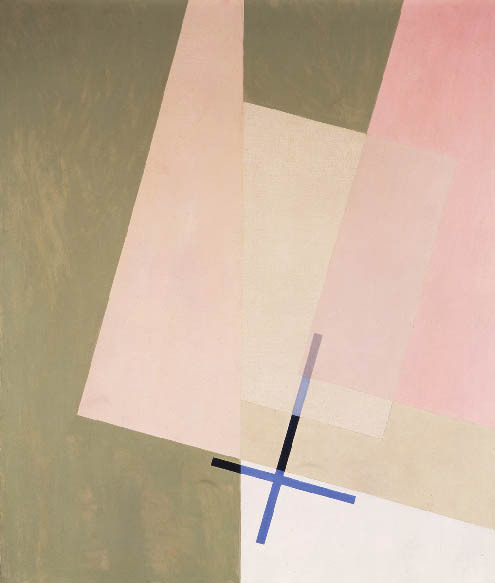 In this painting he brings in subtle transparencies, as planes float above one another, their direction marked by a cross. 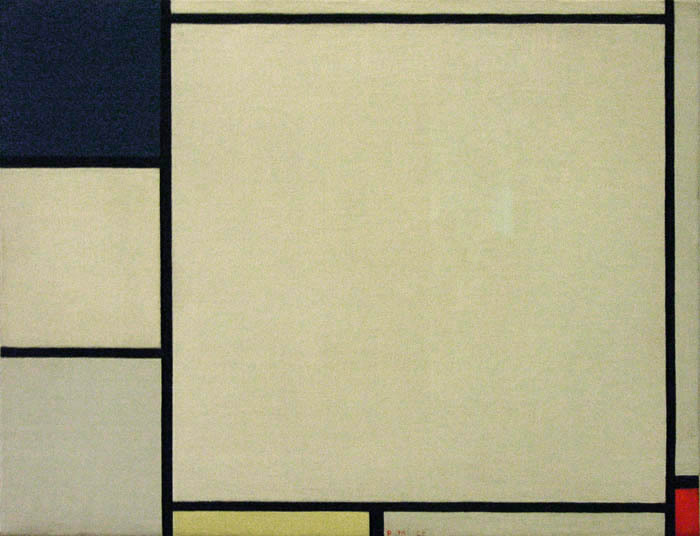 I was not very familiar with the work of van Doesburg, a founder of the movement De Stijl in 1917 along with Mondrian, which emphasized simple non-objective form and the use of primary color. As I found more of his work online, I became more and more excited by it. 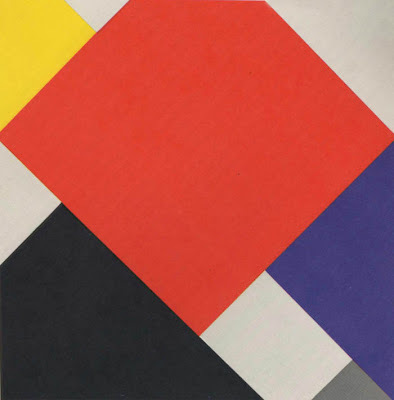 He painted some diagonal compositions, which add a dynamism to the simple shapes, but it is rumored that this aesthetic decision led to a break with Mondrian, who never accepted diagonals. 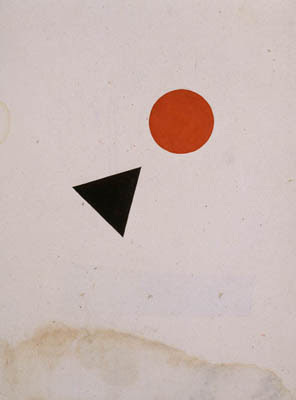 I love this painting, with its large red square cut off at top, and its balance of bright color and gray, truncated rectangles and triangles. Piet Mondrian, Composition with Blue, Yellow and Red, 1927, oil on canvas. I saw this painting last year at the Boston Museum of Fine Arts and was incredibly moved by it, finding it one of the most beautiful Mondrians I'd ever seen. 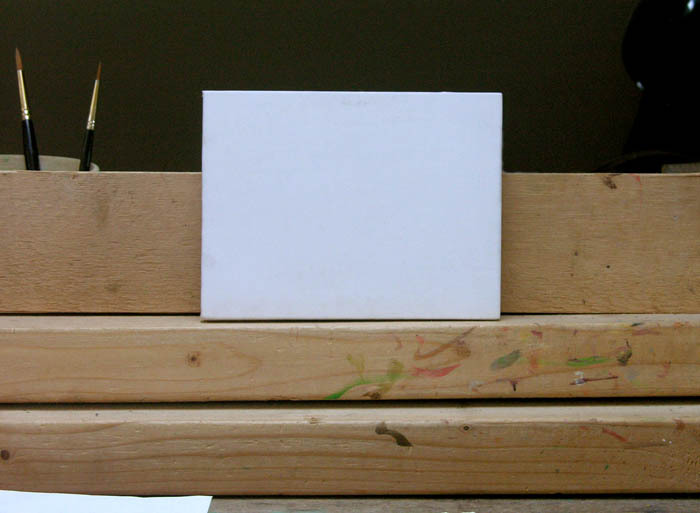 It was that large empty square, painted with careful attention and grace, that pulled me in to an act of deep reflection, an experience of art 'as such' as Malevich described it. It was both deep and flat, empty yet full, a minimal expression full of thought and feeling. Ellsworth Kelly, Purple and Orange, from the series "Line Form Color", 1951, ink on paper and gouache on paper, 7 1/2 x 8 inches. 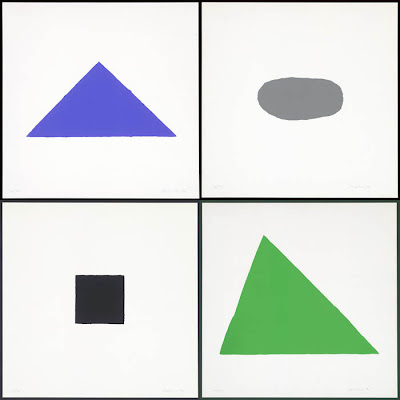 When I was looking up Ellsworth Kelly on the MoMA website, I found a series of works on paper that made me literally feel itchy with excitement and so very, very happy. Kelly is a great favorite of mine, and these early works are such a perfect balance of line, color, and shape, with each being a little surprise. I would have liked to have posted a number of them, but do go take a look. Blinky Palermo, 4 Prototypes, 1970, screenprint, 23 5/8 x 23 5/8 inches (each sheet). The first time I saw a work by Blinky Palermo, the unfortunately short-lived German artist, was in a gallery on 57th Street in the 1980s and it was this set of prints. The forms are elemental, but at the same time alive with a quirky vision and a sense of off-handedness. It was love at first sight, and the more I've seen of Palermo's work, the more I admire his offbeat approach to essential form. Anonymous, Untitled, 1997, Jaipur, India. Gouache, watercolor, tempera on paper, 13 x 10"
If you did not know the purpose of the above drawing, you could easily see it as a Suprematist work with its simple geometric shapes. But it is a work done for the purpose of meditation in the Tantric Hindu tradition. I first saw a number of these drawings at the Drawing Center in NYC a few years ago and was so thrilled by their modest beauty, that they were the prime inspiration for me to begin to make textiles as art works, which I wrote about in this blog post. So when I sat in my rocking chair looking at this blank parchment panel, I thought of the weight, the clarity, the emotional resonance of reductive art. The empty panel seemed to have a life of its own, a presence in the world, which was telling me "make it simple, make it real". 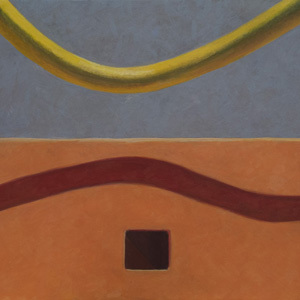 Altoon, as a realist who is completely moved by abstract art, I am impressed by the way you weave across the divide. Thanks, Leslie. 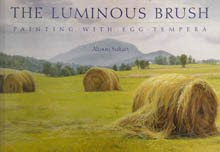 This work has definitely influenced my painting, and it is the main influence on my textiles. I like your paintings much more than what you posted above. Your paintings seem so alive. I feel like I could touch them or feel the heat from them. what a lovely rumination on geometric abstraction. a thumbnail reminder of a certain aesthetic philosophy. this is a wonderful aspect of blogs - just this, appreciative reminders. thanks, rappel, for your appreciative comment. I'm sorry, Lisa, that I couldn't nudge you into some interest in this work that I love. It may be that the physical presence of the paintings is essential to understanding them. 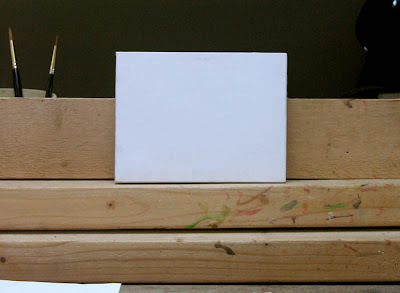 courage to paint the essential. Myrna, I so agree with you on the debt we owe to these painters. I continue to be inspired by this earlier work, but also by contemporary artists currently working with this philosophy. I'm with you on being moved by abstraction. But maybe I project as a result of that great kids' book" "Little Blue and Little Yellow." Thanks for introducing me to those lovely Indian meditation pieces. I came to abstraction as an adult, Julie, but I should look up that book. Aren't the Tantra works marvelous! As an undergraduate student at the Pennsylvania Academy of the Fine Arts in Philadelphia, I remember running across a book in the library on "yogic" art. I was blown away by what I saw. Most of these drawings and paintings were hundereds of years old but looked like both early modernist geometric abstraction and late modernist minimalist abstraction. I can't remember the title anymore. This makes me think that I need to visit my alma mater and see if they still have it.